There was a lot of competition to consider in this year's comparison of the top Gold IRA companies. So much in fact that we wound up with a surplus of companies that were researched and reviewed, some of which are popular bullion dealers that do not actually specialize in precious metals IRAs or even partner with custodians. These companies deserve honorable mention as successful bullion dealers that sell quality products, many of which are eligible to be deposited into a Gold IRA. The companies listed on our 25 More Bullion Dealers Worthy of Mention list below fall in the category of popular, well-ranked bullion dealers that may be able to sell you bullion products that are eligible to be delivered and deposited into your Gold IRA, but don't specifically have sections of their websites devoted to precious metals IRAs. This chart lists the top 25 bullion dealers that didn't make the top gold IRA companies, because technically, they can't be considered “Gold IRA companies” because if don't mention or promote precious metals IRA or IRAs in general. The official websites of the companies above were Google queried for the exact terms “precious metals IRAs,” “gold IRAs,” and “IRAs,” to determine if each company's site does mention, promote, endorse, or discuss individual retirement accounts and precious metals or gold investments within those accounts. 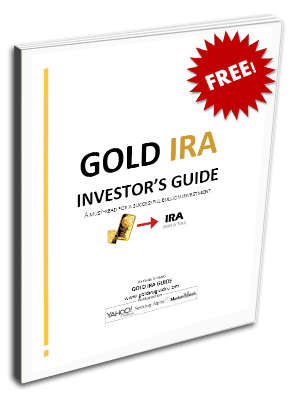 If you notice that any of the companies on the list above have been or have started mentioning or promoting precious metals IRAs, Gold IRAs, or IRAs in general, please do contact us so that we can revise the list accordingly, as such companies would then qualify as Gold IRA companies and could be included in next year's top 70. We strive to provide the most accurate comparison charts and reviews on an ongoing basis and therefore welcome all suggestions and requests.